At the time of writing, no information was available about the fundraising market in 2017 or 2016. The most recent information available is for 2015, for which the Austrian Venture Capital Association reported that Austrian private equity and venture capital funds raised €111 million, a significant increase over the fundraising in 2014 (below €20 million) and 2013 (around €20 million). However, most of this fundraising activity was related to one single fund focusing on early-stage investments. The number and volume of Austrian private equity and venture capital funds continues to be well below the European average. Except for the one early-stage fund, there is no noticeable activity in the market. Following general elections, a new Austrian government took office in December 2017. The government programme includes plans to implement an overall strategy for private equity as well as the creation of a competitive legal framework for venture capital and private equity funds. However, no specific implementation measures have been announced as of the date of this article. Since the introduction of the AIFMG, which implements the AIFM Directive,2 most private equity funds established in Austria will qualify as alternative investment funds (AIFs) under the AIFMG. An AIF is defined as a collective investment undertaking that raises capital from a number of investors to invest it in accordance with a defined investment policy for the benefit of those investors, and that does not use the capital for direct operational purposes. Funds pursuant to the Austrian Investment Funds Act as well as funds qualifying under the Austrian Real Estate Investment Funds Act are not captured by the AIFMG. The formation of an AIF requires the prior approval of the Austrian Financial Market Authority (FMA) if the fund is managed by a licensed alternative investment fund manager (AIFM). If the fund is managed by a registered AIFM, it only needs to be registered with the FMA. AIFMs need to obtain a licence if they manage funds with assets of more than €100 million (where leverage is used) or more than €500 million (where no leverage is used); otherwise, only a registration is required. in the application to the FMA, the AIFM needs to provide information on shareholders holding qualified participations in the AIFM (i.e., shareholdings exceeding 10 per cent), on any closely related entities (i.e., a third party that holds a stake of more than 20 per cent of the AIFM or that controls the AIFM, or is controlled by the AIFM or in which the AIFM holds a stake of more than 20 per cent), its business plan, its remuneration, risk management, valuation, internal audit and conflict of interest policies, its investment strategies, a description of any competences delegated to third parties and information on the contractual basis pursuant to which it manages its AIFs. The decision of the FMA regarding the licensing of an AIFM has to be made within three months after the applicant has provided all required information. If the AIFM intends to register an AIF as an ELTIF (see below), he or she has to apply to the FMA for prior approval. The main vehicles used for private equity funds established in Austria are limited partnerships (LPs), typically with a corporation as the general partner, or corporations, namely limited liability companies (LLCs) and joint-stock companies (JSCs). Each of these types of entity has a separate legal personality, but partnerships are transparent for tax purposes. Typically, investors become limited partners in an LP. The general partner is usually an LLC that receives a fee for assuming unlimited liability. In some structures, the general partner manages the partnership; in other structures, a separate management company (usually an LLC) manages the partnership. As private equity funds in most cases fall under the AIFMG, the entity managing the fund must be a legal person licensed or registered as an AIFM under the AIFMG. There are generally no minimum capital requirements for newly incorporated LPs. Investors become shareholders in an LLC or a JSC. An LLC is managed by a managing director, a JSC by a managing board. JSCs (as opposed to LLCs) are required by law to also have a supervisory board. Managing directors, as well as members of the managing board, have to be natural persons. However, as with LPs, corporations can outsource management functions to a management company, which in most cases needs to be licensed or registered as an AIFM under the AIFMG. Austrian law has minimum share capital requirements for LLCs (€35,000, or €10,000 in the case of a privileged incorporation) and JSCs (€70,000). In the past, sponsors also structured vehicles in the form of LLCs or JSCs as a medium-sized business financing company (MFG) under the Corporate Income Tax Act (KStG), as this gave rise to several tax benefits. MFGs had to fulfil certain requirements, such as higher capitalisation, participation of public bodies and certain investment restrictions. As those tax benefits no longer apply for vehicles founded after 2012, and will cease to apply in respect of participations held by existing MFGs (founded before 2012) by the end of 2015 (in special circumstances, by the end of 2018), the importance of the MFG has decreased significantly. The tax benefits for MFGs have been reintroduced in 2017, however, only to a limited extent. In particular, the tax benefits only apply for minority investments in early-stage enterprises. In recent years, Austria has seen an increasing number of court proceedings by private investors against managers and promoters of funds to recover losses suffered during the financial crises. These proceedings highlight the importance of full disclosure to investors at the time they invest in a fund. Managers of funds need to ensure that all documents given to investors, in particular the offering documentation and all advertising material, disclose all facts and circumstances relevant to prospective investors fully and correctly. Additionally, special care should be taken that any opinions and plans disclosed to investors are reasonable, and based on verifiable facts. Special care also needs to be taken to ensure that the wording of the documents is not too complicated or technical; otherwise there is a risk that this could be seen as insufficient disclosure. Austrian courts do, by and large, take into account the types of investors to which such offering documentation is addressed, and may take a less restrictive position in cases where an offer is solely addressed to institutional investors (as opposed to offers addressed to retail investors). In the case of insufficient disclosure, managers are faced primarily with damage claims, rescission claims, or a combination of both by investors; additionally, regulatory sanctions and – in extreme cases – criminal sanctions may apply. If the offer of interests in a private equity fund falls under the scope of the Austrian Capital Markets Act (and no private placement exemption applies), the issuer has to prepare a prospectus, which complies with the EU prospectus regime, except for (1) offers encompassing fund interests with a total value of less than €5 million during a 12-month period, in which case a simplified prospectus can be used, and (2) offers encompassing fund interests of LPs, in which case the prospectus regime of the Austrian Capital Market Act has to be used. In this case, additional disclosure requirements apply. The method of solicitation is mainly influenced by regulatory constraints. Most commonly, solicitation is made by way of an information or offering memorandum. Potential key investors are typically contacted at an early stage to gauge their initial interest. Unless there are regulatory constraints (such as in the case of public offers falling under the scope of the Austrian Capital Markets Act), investors are invited to follow-up meetings or given the opportunity for a limited due diligence. Depending on the size of the fundraising, managers may also appoint third-party promoters to assist in identifying potential investors; also in addition, outside counsel is retained to prepare the documentation for the fundraising. Offers and sales of interests in private equity funds formed in Austria are subject to the following selling restrictions, which depend on the category of the private equity fund. b interests in the fund may be offered or sold to private investors, if the prerequisites of Sections 48 and 49 AIFMG are met, except if the fund is registered (1) as a European venture capital fund (EuVECA) (see below); in this case, it may be offered to private investors subject to certain restrictions (in particular, a minimum investment commitment of €100,000 and a written acknowledgment of the risks associated with the investment by the private investor) or (2) as a European long-term investment fund (ELTIF) (see below); in this case, it may be offered to private investors subject to certain restrictions (in particular, an offer is only possible to private investors having an investment portfolio of at least €100,000 after such investor has received appropriate investment advice). b interests in the fund may not be offered or sold to private investors, except if the fund is registered as an EuVECA (see below); in this case, it may be offered to private investors subject to certain restrictions (in particular, a minimum investment commitment of €100,000 and a written acknowledgment of the risks associated with the investment by the private investor). No ELTIF registration is available for funds managed by registered AIFMs. even if the private placement exemption applies, the intended offer has to be notified to the issue register maintained by Oesterreichische Kontrollbank AG. The EuVECA Regulation was introduced to create a new pan-European designation for small AIFMs, the EuVECA. Austrian-based AIFMs may register an AIF as a EuVECA provided that they comply with the EuVECA Regulation and have supplied certain information with regard to themselves and the relevant AIF to the FMA. The main advantage the AIFM gains by doing so is the option to market the relevant AIF throughout the EU under the EuVECA designation to certain categories of investors defined in the EuVECA Regulation under an EU-wide passporting regime. Passporting allows a firm authorised under an EU single market directive to market the designated fund to certain qualified investors in another EU Member State, on the basis of its home state authorisation. The EuVECA Regulation is not compulsory; if an AIFM does not want to use the EuVECA designation, then it does not have to comply with the EuVECA Regulation for a particular fund (or at all). If the AIFM chooses not to use the EuVECA designation, national laws and EU regulations apply, such as national private placement regimes. The ELTIF Regulation was introduced in November 2015 to channel capital raised through AIFs towards European long-term investments in the real economy. Austrian-based AIFM who have received approval to manage ELTIFs may register an EU-based AIF (or a compartment thereof) as an ELTIF provided that they comply with the authorisation requirements set forth in the ELTIF Regulation and submit an application to the FMA. The main advantage of such registration is the option to market the relevant AIF throughout the EU under an EU-wide passporting regime similar to the regime under the EuVECA Regulation (see above). Additionally, the designation of an AIF as an ELTIF allows its marketing to high net worth individuals throughout the EU. The ELTIF Regulation is not compulsory; if an AIFM does not want to use the ELTIF designation, then it does not have to comply with the ELTIF Regulation for a particular fund (or at all). If the AIFM chooses not to use the ELTIF designation, national laws and EU regulations apply, such as national private placement regimes. Typically, the scope of the sponsor’s fiduciary duties is determined by the AIFMG (which most private equity funds fall under), the constitutional documents of the fund vehicle (supplemented by pertinent rules of law) and other contractual arrangements (if any). Under the AIFMG, the manager has, inter alia, to act in the best interests of the investors in such AIF (as well as of the AIF itself) and the integrity of the market. The manager has to introduce appropriate procedures to deal with conflicts of interest, to treat the investors in an AIF fairly, and to use the required diligence in the performance of his or her duties. Managers of Austrian private equity funds are most frequently general partners of an LP or fulfil their function based on management agreements with the fund vehicle. Thus, the scope of the managers’ duties and the extent of their liability in relation to the investors (and the fund vehicle) derive from the partnership agreement (supplemented by the mandatory provisions of the Commercial Code) or, as the case may be, the management agreement. 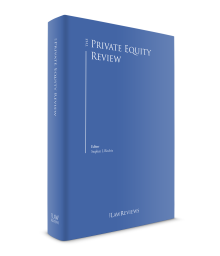 Unless the private equity fund is an AIF, it is possible to limit the liability of the sponsor in relation to the investors or, respectively, the fund vehicle by contractual provisions (e.g., excluding the liability for ‘ordinary negligence’). However, such contractual provision would still be subject to judicial review. Private equity funds established as AIFs and their managers are subject to the ongoing supervision of the FMA. The FMA has a wide range of inspection and audit rights with respect to both the AIFM and the respective AIF. Austrian law distinguishes between AIFMs, which require licensing by the FMA, and AIFMs, which only have to register with the FMA. Licensed AIFMs do not need any additional licences for their management activities for the fund. Registered AIFMs may require a business permit for asset managers. As mentioned above, investors holding qualified participations in the AIFM (i.e., shareholdings exceeding 10 per cent) need to be disclosed to the FMA, but only by licensed AIFMs. Private equity funds established as AIFs need to be registered with the FMA. Private equity funds established as AIFs and managed by a licensed AIFM also require approval by the FMA. Austrian AIFs are also listed in an informal register maintained by the FMA. Private equity funds not established as AIFs require no special registration, except for the registration with the Companies Register upon incorporation. If the sponsor also acts as the manager of a fund established as an AIF, it has to be registered or, as the case may be, licensed with the FMA. In addition, if the sponsor holds a qualified participation in the fund, this fact has to be disclosed to the FMA. Otherwise, no specific licence requirements exist for the sponsors of a fund. As mentioned above, the most common private equity fund vehicle in Austria is a partnership. Different from corporations, Austrian partnerships are typically viewed as transparent for tax purposes, provided that the partnership’s sole activity qualifies as asset management for tax purposes, and it is not deemed to operate a business or commercial operation. Any income derived by the partnership is allocated to its investors and taxed at their level in accordance with the rules of the tax regime applicable to the respective investor. For partnerships structured with no individual (but only a corporation) as general partner, as is usually the case, equity contributions had generally been subject to capital duty at a rate of 1 per cent. The same was true for fund vehicles structured as corporations. Capital duty, however, is not levied anymore since 1 January 2016. Another area to consider is stamp duties, in particular in relation to guarantees that the formation documentation may entail. In this context, it should be noted that surety agreements (including any form of assumption of a debt as joint debtor) are subject to stamp duty at a rate of 1 per cent of the secured amount provided that the surety is of an accessory nature, which means that the guarantor may avail itself not only of all defences that it personally has against the creditor, but also of all defences that the debtors of the secured debt have against the creditors. If the guarantee, however, is of an abstract nature, meaning that the guarantor has to pay upon first demand and has recourse only to those defences that arise from the guarantee itself, then such transaction is not subject to stamp duty. Therefore, guarantee wordings explicitly stating that a specific guarantee is intended as an abstract are commonly used. Domestic individual investors are taxed as follows: capital gains are subject to a preferred tax rate of 27.5 per cent (as of 1 January 2016); and dividends are subject to withholding tax at a rate of 27.5 per cent (as of 1 January 2016). Domestic corporate investors are taxed as follows: capital gains are taxed at a rate of 25 per cent if they relate to an Austrian-resident portfolio company, and may be tax-exempt if they relate to a foreign-resident portfolio company in which a minimum shareholding of 10 per cent is (indirectly) held for an uninterrupted period of at least one year (Section 10, KStG); and dividends are tax-exempt if they relate to an Austrian-resident portfolio company or an EU-resident portfolio company, and may be tax-exempt under certain conditions if they relate to another foreign portfolio company (Section 10, KStG). Foreign individual investors are taxed as follows: capital gains are only taxable (at a rate of 27.5 per cent as of 1 January 2016) if the percentage of the investor’s (weighted) shareholding in the Austrian portfolio company (through the partnership) is at least 1 per cent during the past five years. Note that double tax treaties usually restrict Austria’s right to tax such capital gains (Article 13, Paragraph 5 of the OECD Model Tax Convention on Income and on Capital (MTC)); and dividends are subject to withholding tax at a rate of 27.5 per cent (as of 1 January 2016) (subject to a reduction under applicable double tax treaties). Foreign corporate investors are taxed as follows: capital gains are only taxable (at a rate of 25 per cent) if the percentage of the investor’s (weighted) shareholding in the Austrian portfolio company (through the partnership) is at least 1 per cent during the past five years. Double tax treaties usually restrict Austria’s right to tax such capital gains (Article 13, Paragraph 5, MTC); and dividends are subject to withholding tax at a rate of 25 per cent in cases where the exemption for foreign investors that are corporations resident in an EU Member State is not applicable (but will usually be subject to a reduction under applicable double tax treaties). ‘Carried interest’, which is defined as the compensation of a partner of an asset management partnership received because of outstanding contributions to the successful management of the investments, is included in the investment income according to the Department of International Taxation of the Ministry of Finance.5 Income qualifying as investment income received by an individual who is subject to unlimited taxation in Austria is taxable in Austria with the special tax rate of 27.5 per cent (as of 1 January 2016). Despite this administrative guideline, a case-by-case analysis is recommended, as the line between self-employed and employee income and investment income is rather unclear. The management fees received by a partner of an asset management partnership are not subject to VAT. According to the Austrian tax authorities, the managing partner of a partnership is not an entrepreneur; his or her services are supplied in the exercise of a corporate function, and not as a result of an exchange of services. If the fund vehicle is a corporation, however, the fees of a managing partner will usually be subject to VAT, unless the manager is employed by the corporation. In 2015, fundraising by Austrian-based private equity amounted to €111 million, a significant increase over the fundraising in 2014 (below €20 million) and 2013 (around €20 million). However, most of this fundraising activity was related to one single fund focusing on early-stage investments. No specific figures for 2016 or 2017 have been released yet, but it is expected that fundraising will remain at a very low level compared to other European countries. Following general elections, a new Austrian government took office in December 2017. The government programme includes plans to implement an overall strategy for private equity as well as the creation of a competitive legal framework for venture capital and private equity funds. However, no specific implementation measures have been announced as of the date of this article. It remains to be seen whether (and if so, when) the current government will actually start implementing the announced programme and whether such implementation will have a positive impact on fundraising activities in the future. 1 Martin Abram and Clemens Philipp Schindler are partners at Schindler Attorneys. 2 Directive 2011/61/EU on alternative investment fund managers. 3 Regulation (EU) 345/2013 on European venture capital funds. 4 Regulation (EU) 760/2015 on European long-term investment funds. 5 EAS 3280 as of 14 May 2012, EAS 2698 as of 6 February 2006 and BMF 15 December 2008 (BMF 010221/3364-IV/4/2008).